Turmeric is a yellow spice used in Indian cuisine; its active ingredient, marketed as a dietary supplement, is curcumin. It is widely used in Ayurvedic medicine, where it is said to balance vata, pitta, and kapha, to kindle agni, and to help reduce kapha and ama. It allegedly supports the blood, liver, joints, immune system, and digestive tract. It cleanses the subtle channels and chakras, and even grants prosperity! Aren’t you impressed? Hippocrates said, “Let food be your medicine” but I don’t think turmeric was what he had in mind. Claims for its health benefits are all over the Internet, mainly on websites that sell it. It has been hyped as a miracle spice and “the natural remedy of the century.” Stop aging now! Stop inflammation! Promote detoxification! Deal with brain fog, memory impairment, aches and pains, and mood issues! “There is no nutrient on earth more effective than curcumin at promoting a healthy inflammatory response in your brain, heart, and throughout your entire body.” One website even claimed it was as effective as fouteen prescription drugs including statins, antidepressants, and the diabetes drug metformin. Wow! Wouldn’t it be great if it could really do all that? I wish! Andrew Weil recommends it and thinks it is effective against cancer, arthritis pain, and inflammatory conditions such as autoimmune diseases. The infamous Mercola makes all sorts of claims for it. He says it modulates about 700 of your genes, makes your cell membranes “more orderly,” suppresses symptoms of multiple sclerosis, treats Alzheimer’s, and “appears to be universally useful for all cancers.” Yeah, sure! The even more infamous Health Ranger, Mike Adams of naturalnews.com, says he did his own statistical analysis of over three million published studies and found that curcumin was the most frequently mentioned phytonutrient. Most of the studies he found were preclinical in vitro and animal studies that do not constitute evidence for benefits to humans. He cites research showing that it causes colon cancer cells to self-destruct—in tissue cultures in the lab. But then, as Rose Shapiro pointed out in her book Suckers: How Alternative Medicine Makes Fools of Us All, you can kill cancer cells in the lab with bleach or a flame-thrower. He ridiculously asserts that stating the results of positive scientific studies could get you thrown in jail. He calls it part of the FDA’s “war on knowledge.” Sure, it must be a conspiracy; it couldn’t possibly be that the evidence is insufficient. All that is meaningless to scientific medicine. We want compelling evidence. What we want to know is whether there have been any controlled clinical studies showing significant benefits in humans, and there have indeed been a few such studies. The Natural Medicines Comprehensive Database reports that curcumin has been used topically for skin conditions, in the form of enemas for ulcerative colitis, and orally for a wide variety of conditions such as the common cold, leprosy, ringworm, headaches, jaundice, peptic ulcers, diabetes, fatigue, depression, cancer, Alzheimer’s disease, and many others. 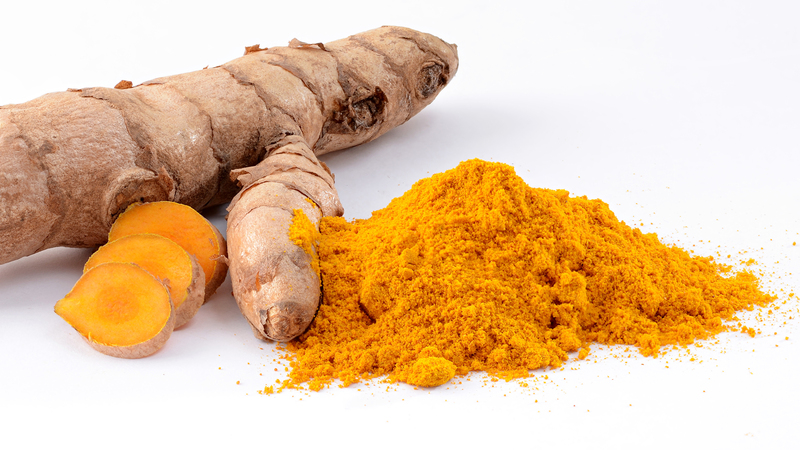 They combed the published literature and they list the studies they found showing what they call only “possible” effectiveness in hyperlipidemia, osteoarthritis, and pruritis; but they didn’t find evidence of curcumin’s effectiveness for any other condition. And they found reports of side effects and warned about possible drug interactions and other potential problems. And now a thorough new review of the scientific literature, published in the American Chemical Society’s Journal of Medicinal Chemistry, and available online, has pretty much put the kibosh on the claims of health benefits. They evaluated preclinical studies and more than 120 completed or ongoing clinical trials. They found that many of the studies were flawed: for instance, they failed to do counter-screens for assay interference, and failed to consider the stability of the compound; and different studies used different preparations. They found “evidence that, contrary to numerous reports, the compound has limited—if any—therapeutic benefit.” They found that it is unstable under physiological conditions and not readily absorbed by the body. Although “natural,” it may not be entirely safe. Toxic effects have been reported under certain testing conditions. They said “Unfortunately, no form of curcumin, or its closely related analogues, appears to possess the properties required for a good drug candidate (chemical stability, high water solubility, potent and selective target activity, high bioavailability, broad tissue distribution, stable metabolism, and low toxicity. The in vitro interference properties of curcumin do, however, offer many traps that can trick unprepared researchers into misinterpreting the results of their investigations.” They offer strategies to avoid such errors in future research. They called it “much ado about nothing,” but they didn’t entirely give up on it. They suggested that turmeric extracts and preparations could have health benefits, “although probably not for the number of conditions currently touted.” They recommended that future research account for the chemically diverse constituents that may synergistically contribute to its potential benefits. Conclusion: You Can Depend on it for Flavor but not for Health Benefits. It might have some minor health benefits; it hasn’t been proven not to have any. Hope springs eternal, consumers love “natural,” and trying it is not likely to cause any serious harm unless it is used as a substitute for effective treatment of a disease. It might even make consumers feel better through suggestion and placebo effects. The probability of health benefits from curcumin dietary supplements would seem to be pretty low, but turmeric does have other benefits. It enhances the flavor and appearance of Indian food. That’s enough for me!